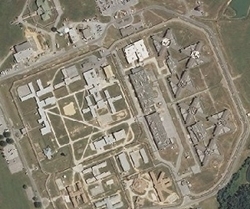 The Central Violation Probation Center is located in Smyrna Delaware. It is a level four facility that incarcerates males who have violated the terms of their probation, and has a current capacity of 250. This facility is where the Crest substance abuse treatment program is ran. This program offers treatment to male offenders only. We currently do not have the visiting hours for this facility. If you know the visiting hours please help us out by leaving a comment below. Because this is a facility that specializes in inmates who have violated probation, their may not be any visitation allowed.